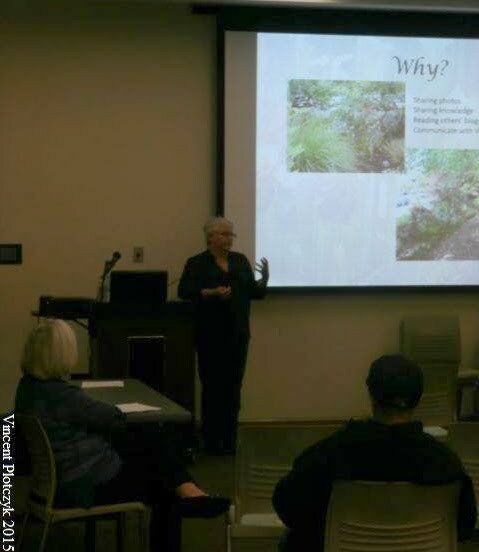 Last month I was asked to speak at a Master Gardener program about blogging. What does one say about writing a blog? Do you talk about the ins and outs of which platform to use? I did. Do you include why one writes a blog? Of course I did. 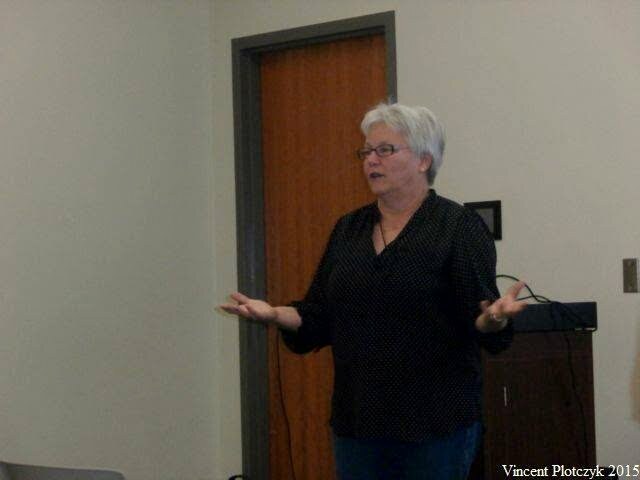 I also included learning about writing html code and that I was glad it isn't critical. I also talked about other bloggers helping me get started. I appreciated my sister suggesting that I do a trial blog to make sure my photos and text all line up correctly and Freda sharing a technique to line up multiple photos in rows and columns. Of course one must also talk about their photos. I talked about photo tagging, embedded info on the photos and different photo editing programs. Writing is critical, information needs to be accurate and well written. Check and double check your facts. I try to use a couple different references, especially when I write about trees. I told them the best part of blogging are the friendships from all across the world have been formed. Blogging friends are electronic pen pals. I have been blogging since 2008 and made many friends along the way. A few posts ago was my 400th post. 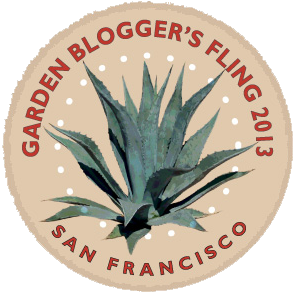 A couple years ago I went on my first Garden Bloggers Fling. It was like seeing old friends. Each subsequent Fling is a great gathering, seeing old friends, making new ones. I wrote about the Fling in Toronto a few posts ago. You can read about it here. 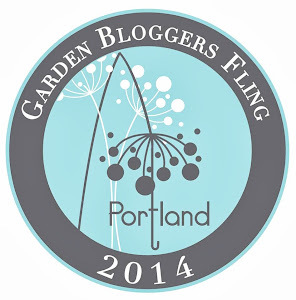 The Flings are sponsored by a multitude of garden related companies and individuals. The organizers of the Fling get support from far and wide to help lessen the cost for attendees. Over the years we have been privileged to receive tools, seeds, clothes, gloves, books, and plants. 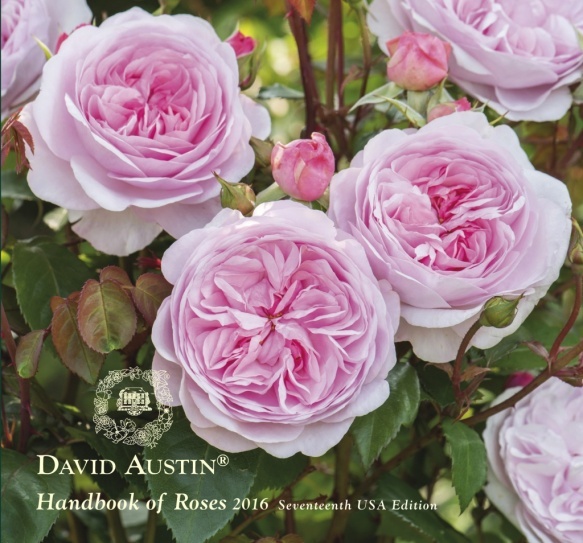 One of our sponsors this past year was David Austin Roses. Through some luck and the kindness of our Fling planners, I won the raffle for the roses! I am sharing my winnings with my readers. Two for me and three to share with you! Three chances to win!! My regular readers know I have one David Austin rose in my family garden. The family garden is a section in my garden where I have plants with names associated with members of my family. Rosa 'Janet', Paeonia 'Charlie's White', Paeonia 'Rachel's Red', Camellia sasanqua 'Rebecca's Paradise', and Hemerocallis 'Alexander's Ragtime Band' to name a few. Over the years I have shared many photos of my 'Janet' rose. The fragrance is incredible and the colors change as the rose matures. It is a wonderful addition to my garden. Amazing to think these two photos are of the 'Janet' rose. The petals just keep opening and opening. A gorgeous rose. The choices I made for myself are two new introductions for 2016. The first one is 'The Lady of the Lake'. It makes sense doesn't it? I live on a lake, therefore I NEED this rose. 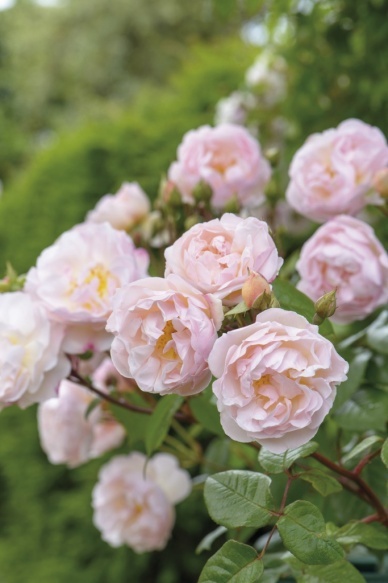 The second one I chose is 'Olivia Rose Austin', a heavy fragranced bloom. The photos below are from David Austin's website. If you would like to win one of the rose bushes, there are three chances! Just leave me a message below or on The Queen of Seaford Facebook page, or both! You will be able to make your own choice, the roses are amazing, to decide on one will be hard. A bare root rose bush will be sent to you at the correct time for planting in your area. THREE CHANCES TO WIN!!! Drawing will take place on January 7th. 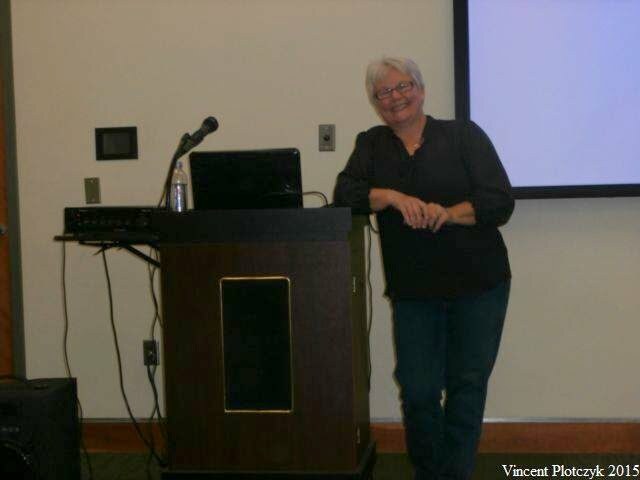 Many thanks to Vincent Plotczyk for taking photos during my program. I have been asked many times about the Garden Blogger Flings that I attend. In a nutshell a Fling is where the hosting Garden Bloggers find wonderful gardens, public and private, to show off their city/region. It involves a lot of work, coordinating times, schedules, buses, locations, food, and 80+ Garden Bloggers. First we check into a grand intown hotel. This year's hotel was quite grand indeed. 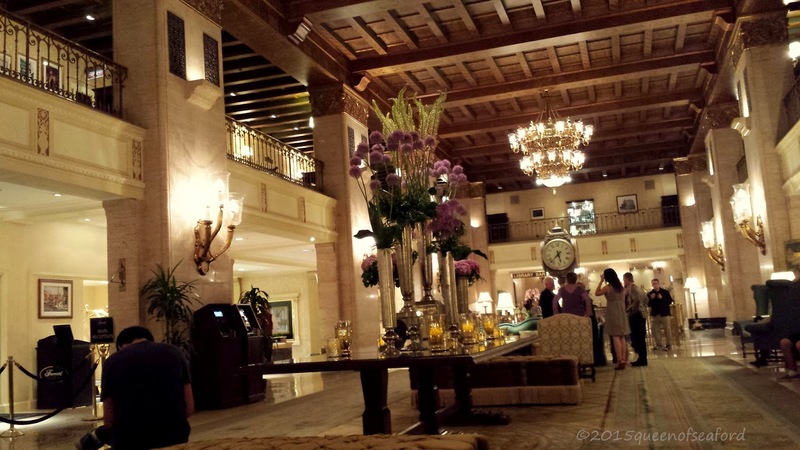 We stayed at the Fairmont Royal York. A brief history of the hotel can be found here. My fellow traveling companions were game to explore the city upon arrival. It is nice to get a lay of the land before we start our whirlwind of activities. Toronto a city on Lake Ontario, is the provincial capital of Ontario. From just about everywhere the CN tower is in view. Since the Toronto Music Garden wasn't on our list of many gardens we checked it out. Certainly worth a look if you visit Toronto. Once the Fling was underway it was time to catch up with fellow bloggers from near and far. The camaraderie is wonderful. Each year I look forward more and more to seeing my friends from Texas, and England and Wisconsin and Minnesota and Ohio and California and and and..... you get the idea. It is a giant talkfest. We document our gathering with regional blogger photos. Seeing a city through the eyes of someone who lives there is special....but so is getting to know fellow bloggers. Toronto has great vistas...many include the CN tower. Traveling with so many gardeners lends itself to many garden views, each gardener sees something different. When we get home and share posts and photos of the Fling there will be something in a photo that one of us has missed. Eighty gardeners can see a garden and come out with 80 different views. A few will take photos of this dragon. Some views will be shared multiple times...who could resist this kind of photo opportunity? Meal gatherings tend to grow as another blogger joins the group and then another. By the time this meal was done our table looked like a Hungry Hungry Caterpillar table...adding more and more round tables together. Luckily our waiter was nonplused by our ever growing group. Photo angles can be all important, one learns from the best on how to achieve that best shot. 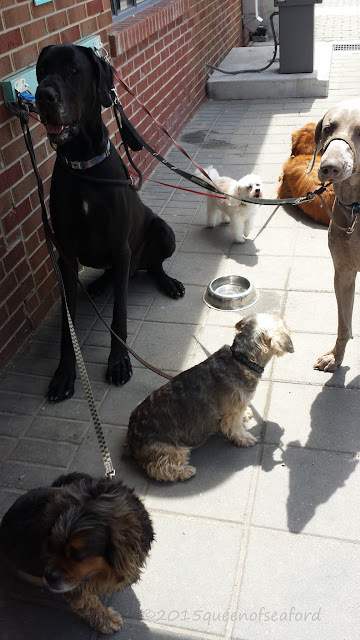 There were questions from passersby on the street as to who this group might be. What? Doesn't your neighborhood have dozens and dozens of folks with cameras taking pictures? Many people wanted to know about blogging, asked for information about our blogs so they could read about what we have seen in their city. This dog didn't ask. We saw more than gardens. Those who like architecture would have loved seeing Cabbagetown, a section of Toronto that was once home to many Irish immigrants. It is known as the largest continuous area of Victorian homes in North America. There was a nice dose of history in our tour of Toronto. The Evergreen Brick works is a reclaimed brick factory and quarry. The wall art depicts the waterways through Toronto that feed into Lake Ontario. 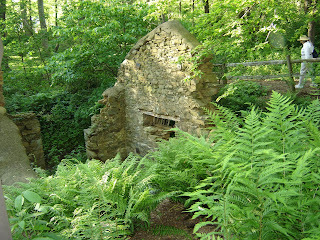 The quarry was site to archeological findings of a second Ice Age. Seeing so many aspects of this city was really amazing. Big thanks to our planners, Helen Battersby, Sarah Battersby, Lorraine Flanigan and Veronica Sliva. 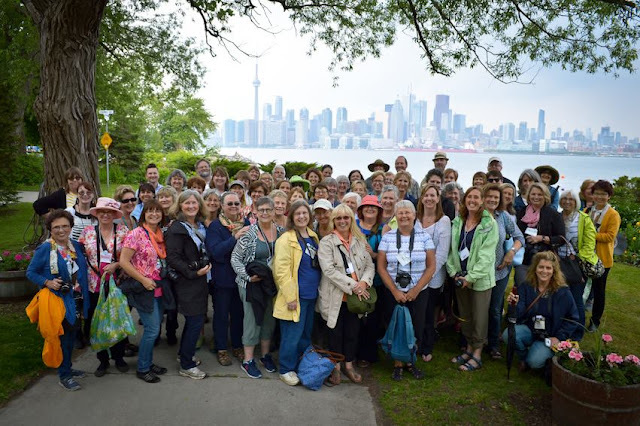 We made new friends, saw incredible gardens, learned a bit about Toronto, rode the ferry, and chatted with all sorts of Torontonians. Did I mention the fun bloggers? 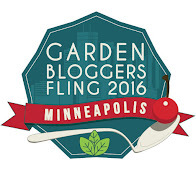 Each Fling is a unique blend of garden bloggers. Wish we had time to get to know each and every one of these fun gardeners. Once home I realized there were some folks I didn't get a chance to spend time with. Guess I will have to find them next year in Minneapolis. Flings have been like a big family reunion, a family of friends, a family of gardeners. 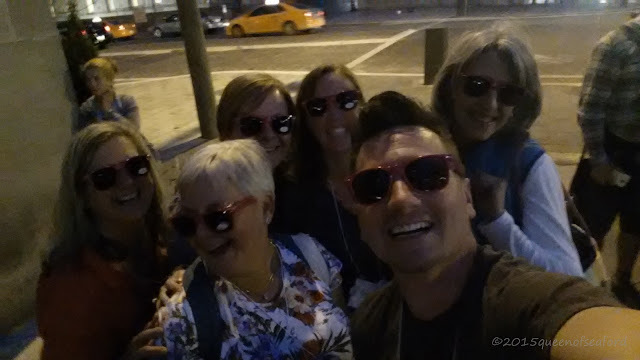 These are the people you feel comfortable with, you can laugh and be silly with, THESE are the people you take selfies with...in pink sunglasses. And did I mention all those wonderful fellow bloggers? Miss you all and looking forward to next year!